I’m totally trying to redeem myself from last week’s Pony Bead Apple craft. I wasn’t totally happy with it, so I pulled out a paper plate this week and my girlie and I got to work. 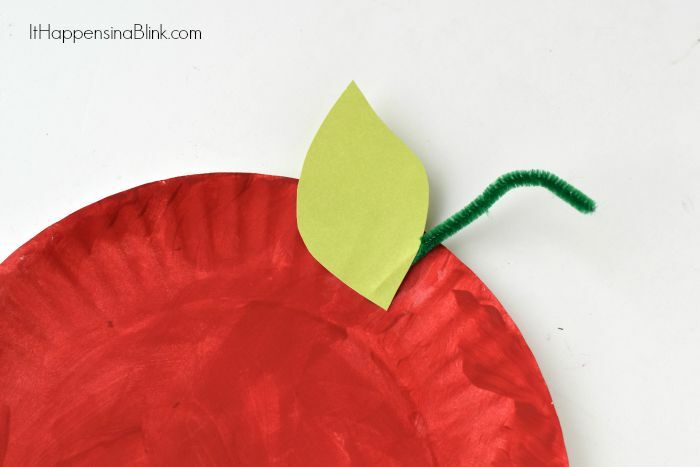 This Paper Plate Apple Craft for Kids is an inexpensive craft that can be used in many settings. And it only takes a few supplies! I bet that you already have most of them in your stash. Green fuzzy stick (aka pipe cleaner), cut down to approximately 3 inches. Green card stock leaf – I drew one by hand, but if you have a die cutting machine, feel free to pull it out to cut a leaf shape. 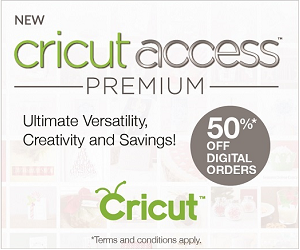 This may be especially helpful if you are cutting out a large quantity for a group. Or you could have the kids design, draw, and cut the leaf by themselves. Or they can have a field trip to the outdoors and pick out a leaf to glue on the stem. 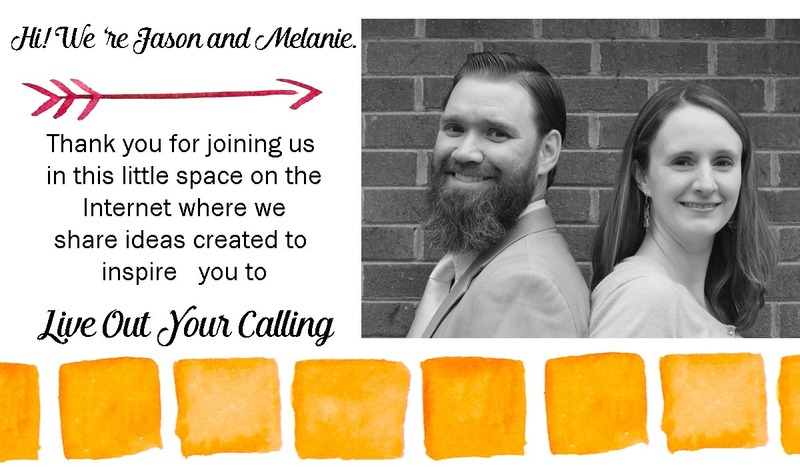 There are many alternatives to change up this craft for how it works best for your group! 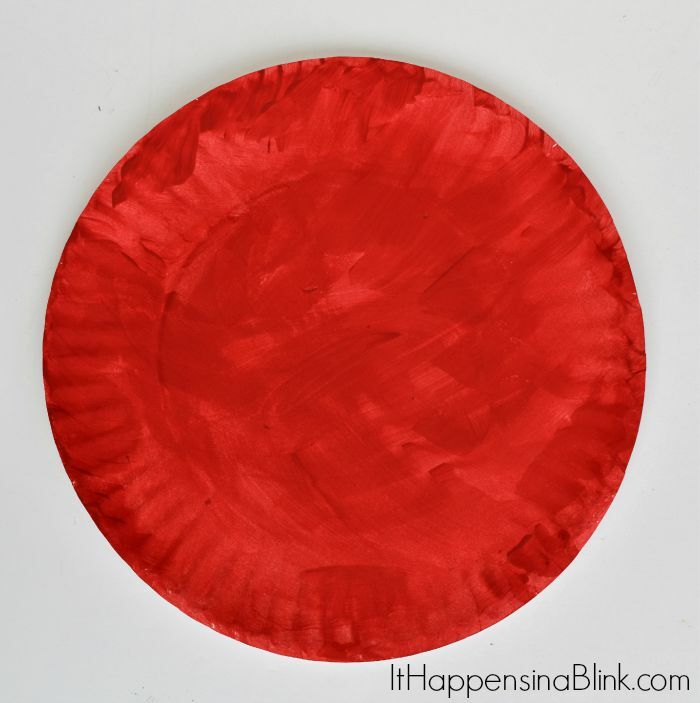 Paint the plate red and let it dry completely. 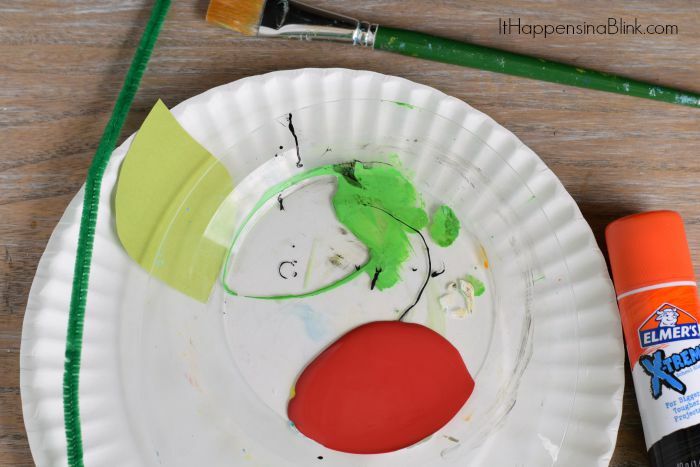 Using the glue stick, glue the fuzzy stick and card stock leaf to the top of the plate. 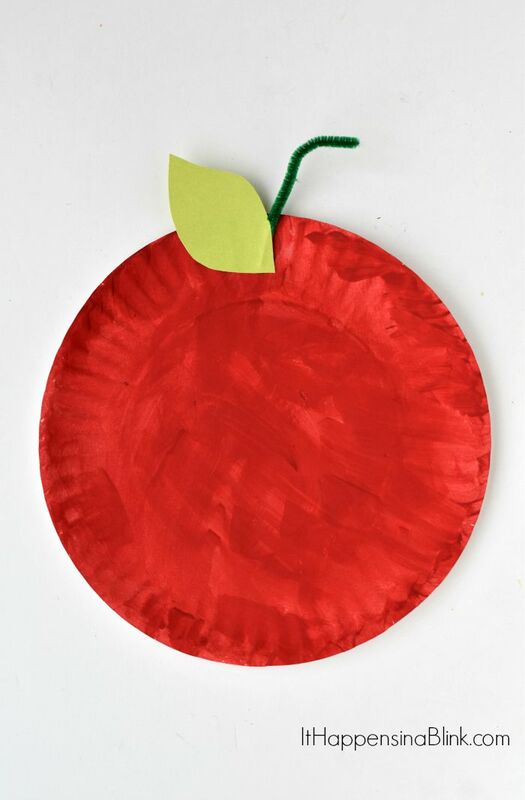 I’ve been loving kids’ paper plate crafts here lately. 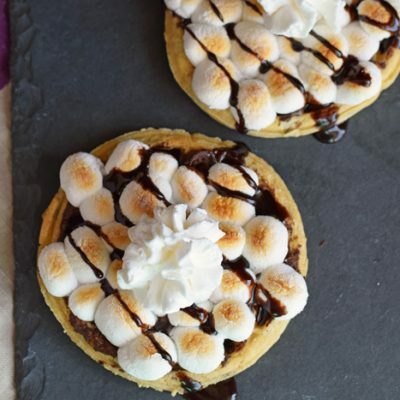 They are inexpensive and not time consuming. And, if heave forbid, my kiddo messes something up or wants to start over, it’s not a big deal to grab another plate and take another go at it. I can see why a lot of preschools like using paper plate crafts. It’s why we used them for the Paper Plate the Days of Creation series, too! 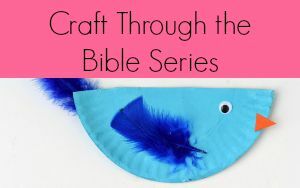 Looking for more Craft Through the Bible crafts? 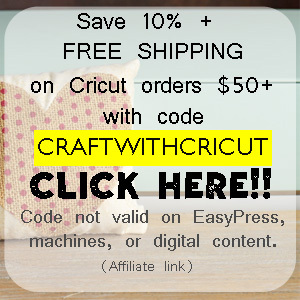 Check out the Craft Through the Bible craft page! 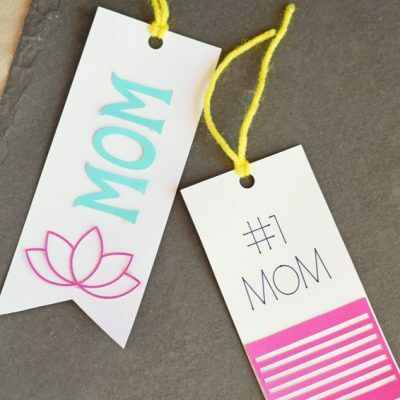 Paper crafts seem like an easy and fun project to let kids explore their artistic side. Plus it seems you could recycle it when you don’t want it anymore. 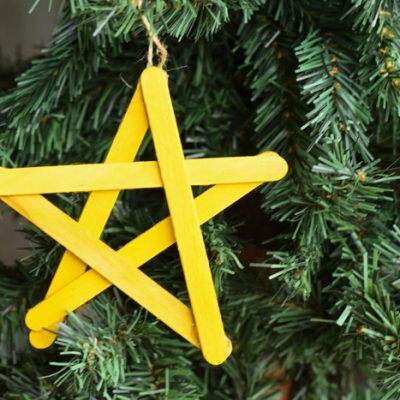 Do you have any projects for kids involving materials they could recycle? We use paper towel rolls a lot for recycled projects. We also take projects apart and reuse the supplies often!